What is better than inexpensive makeup that makes your beauty pop?! Not much, CVS Beauty Club got me covered with NYC mascara! OMGGG Have you tried the new NYC line of Mascaras? I am always looking for volume and length and their newest range of mascaras have become my haven! More specifically, the NYC Big Bold Volume by the Lash Mascara in Black. As I was invited to pick out a few faves from CVS Beauty Club, I went on the hunt for new mascara. I mean, if you are anything like me, finding the perfect one, can at times feel like finding a needle in a haystack. So when I copped this heck of a find that was UNDER $5 AND gave me life, I knew I struck gold and that I had to share. Almost every mascara I have played in had some kind of curling component, something I DID NOT NEED. I needed length, volume, and drama. 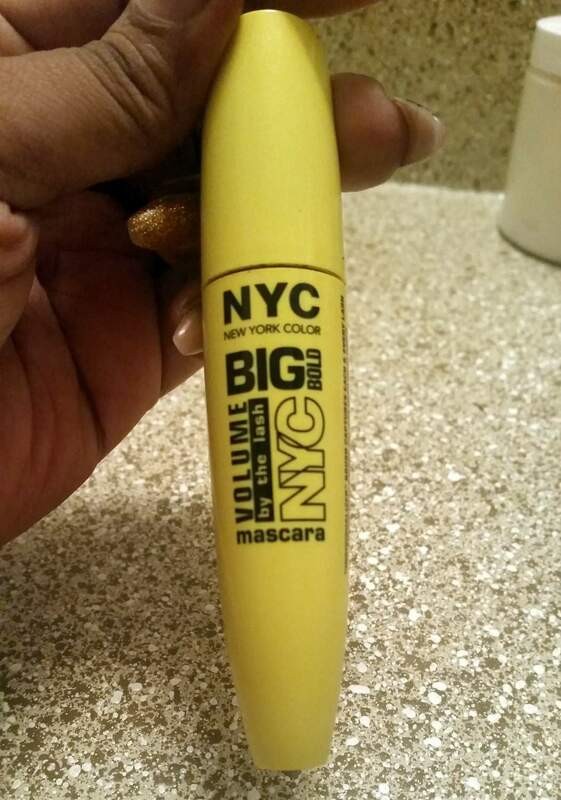 So when I stumbled upon the NYC mascara, immediately, the yellow colored tube jumped out at me- I saw volume. I thought, why not? At $4.99, it could not hurt- ANNDDD if you enroll in the CVS Beauty Club- you save 10% at enrollment– BUT ALSO, you earn $5 in ExtraBucks Rewards for every $50 you spend on beauty! So basically, you are winning, right?. And the results? Well, let me share them with you! NYC Mascara Making my Eyes POP! I mean… heyyyy boo. Let me bat my eyes at you to get the full effect! I mean… I have tried so many mascara options and none of them provided the ease of application, wear, and wash! Hallelujah! Hehehe. Don’t ask me about applying lashes, doing a two-step number, or individuals… (well, mayyyyybe) I just need to swipe a few coats and go! YES and score NYC and CVS Beauty Club! Haha. But this is not where the coolness and benefits of CVS Beauty Club end! Did you know that online, you can access deals, expert how-tos, beauty giveaways, and more at CVS.com, Facebook and Twitter? Yup. What do you think? Are we in agreement here as this being a great find? What are your fave CVS Beauty Club Scores? Disclosure: This post is sponsored by CVS Beauty Club, but thoughts and excitement about my eyes are all my own.